There is no cost to attend but registration is requested. Each person attending the activity (including guests) must register. Once you're logged in, please click the green "ENTER" button to your right. Your attendance will then be confirmed. Honoring those we love - purchase a survivor or in memory of poster for $10 (covers the cost of printing). The posters will be displayed at the conference. For additional information, CLICK HERE. More than 60,000 young adults aged 20 to 39 are diagnosed with cancer each year in the United States. About 4% of all cancers are diagnosed in people in this age range. About 9,000 young adults die from cancer each year. Cancer is the 4th leading cause of death in this age group, behind only accidents, suicide, and homicide. It’s the leading cause of death from disease among females in this age group and is second only to heart disease among males. Survival rates for cancer in young adults have not changed much in recent decades, unlike the improvements seen in many cancers in children and older adults. Survival rates can vary a great deal, based on the type of cancer and other factors. Young adults with cancer face many challenges, from the first onset of problems through treatment and beyond. Learn the importance of early detection of cancer in young adults, along with its treatments. Too often, symptoms or warning signs are ignored or dismissed due to the age of the patient. It is seen as something that occurs more predominately in the older population. With more research, discussion, and public awareness, maybe the key symptoms that might have otherwise been dismissed will be detected early on. Des Moines University students, staff, and faculty, physicians, nurses, social workers, other medical professionals, healthcare community, and families who have been affected by young adult cancer. Identify common challenges that arise when a young adult is diagnosed with cancer. Differentiate between young adults who are at low versus high risk for social and emotional challenges. Identify resources available to support young adults diagnosed with cancer. Katherine Miller, known as Katie by her medical school classmates, was a dynamic, empathetic, kind and beautiful young woman. She approached life with determination and love. Her compassion, drive, and natural charm in turn inspired family members, friends, educators, and mentors. Born in New York City and baptized in the Greek Orthodox faith, Katie lived with her family first in Manhattan and then in Palm Beach, Florida, where she completed elementary and middle school education. She graduated from high school at Choate Rosemary Hall, Wallingford, Connecticut. She gravitated toward math, science, and French studies. She excelled academically and earned Dean’s List honors. Outside the classroom, Katie formed enduring friendships through her passion for water sports. She also explored the fine arts through painting and drawing and enjoyed impressionist art especially. At the University of Virginia, Katherine found herself drawn to the intricacies of ancient Latin and Greek, which led her to intensive summer language studies in classics at the University of California-Berkeley and study abroad at the University of Edinburgh in Scotland. In Florida, Katie served several internships with local physicians and came to value the holistic approach to treating patients. 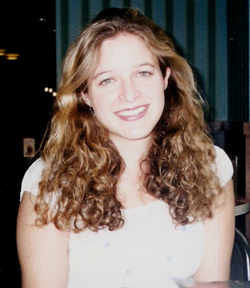 Katie succumbed to colon cancer in 2005 at age 26. Thank you to the Miller family for their generous support! Their contribution makes this conference possible. The Katie Miller Cancer Conference is a ceremony of remembrance and hope. It is a way to honor young adult cancer survivors and those who have lost the battle. It is a time to grieve for those we have lost, to reflect on our own or loved ones cancer experience, and to find hope that tomorrow holds the promise of a cancer-free world. If you are interested in honoring a loved one, you are able to purchase a survivor or in memory of poster for $10 (covers the cost of printing). The posters will be displayed at the conference. Heather Soyer, PsyD, is a psychologist with Blank Children's Psychological Services. She specializes in the treatment of psychological issues in children, adolescents, and families coping with cancer and other blood disorders. She has been involved in clinical research evaluating the psychosocial functioning and health related quality of life of adolescents and young adults with cancer and other blood disorders. 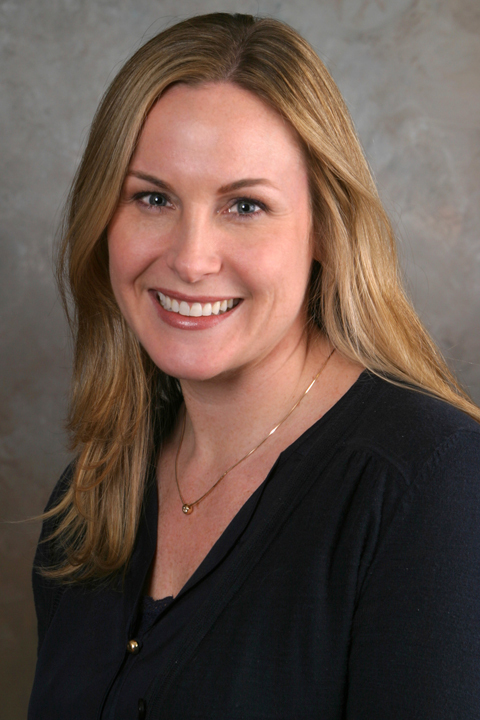 Dr. Soyer earned her degree in clinical psychology from Nova Southeastern University in 2009 after completing her internship at the UCLA Semel Institute of Neurosciences and Behavior specializing in pediatric psychology and child and adolescent mental health. 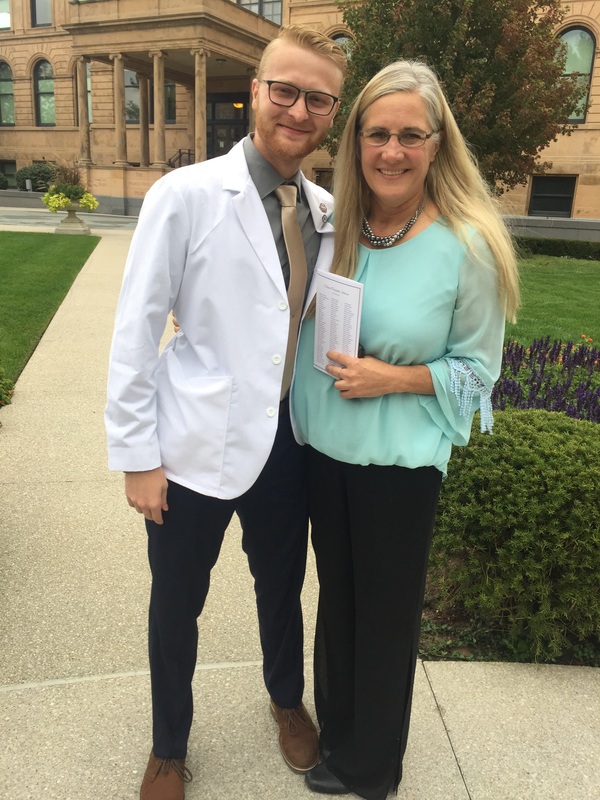 She completed a fellowship in pediatric psycho-oncology at the Medical College of Wisconsin Children's Hospitals of Wisconsin where she provided inpatient and outpatient clinical services to pediatric oncology and hematopoietic stem cell transplant patients and their families. MD: This activity has been planned and implemented in accordance with the accreditation requirements and policies of the Iowa Medical Society (IMS). Des Moines University (DMU) is accredited by the IMS to provide continuing medical education for physicians. DMU designates this live activity for 2.5 AMA PRA Category 1 Credit(s)™. Physicians should claim only the credit commensurate with the extent of their participation in the activity. DO: Des Moines University (DMU) is accredited by the American Osteopathic Association (AOA) to provide osteopathic continuing medical education for physicians. DMU designates this program for a maximum of 2.5 AOA Category 2-A credits and will report CME and specialty credits commensurate with the extent of the physician’s participation in this activity.